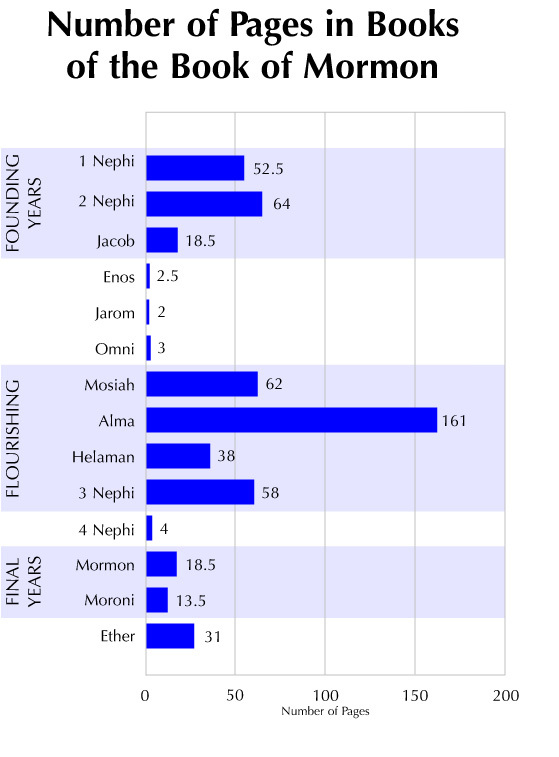 The individual books that compose the Book of Mormon vary significantly in length. The overall record concentrates on three periods: the founding of the Nephite civilization (sixth century B.C. ), its flourishing (150 B.C.–A.D. 50), and its final years (fourth century A.D.).